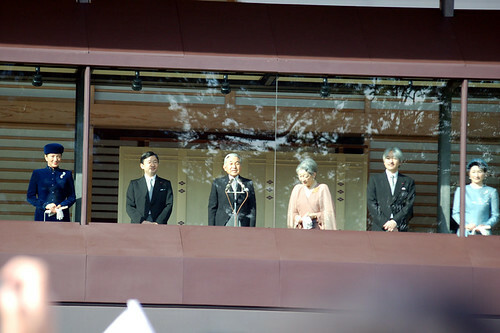 When Japan’s emperor steps down next year, it’s going to create a Y2K moment for Windows in Japan. Photo by sophietica on Flickr. A selection of 8 links for you. Well it’s not a holiday here. I’m @charlesarthur on Twitter. Observations and links welcome. From the beginning, in fact, Berners-Lee understood how the epic power of the Web would radically transform governments, businesses, societies. He also envisioned that his invention could, in the wrong hands, become a destroyer of worlds, as Robert Oppenheimer once infamously observed of his own creation. His prophecy came to life, most recently, when revelations emerged that Russian hackers interfered with the 2016 presidential election, or when Facebook admitted it exposed data on more than 80 million users to a political research firm, Cambridge Analytica, which worked for Donald Trump’s campaign. This episode was the latest in an increasingly chilling narrative. In 2012, Facebook conducted secret psychological experiments on nearly 700,000 users. Both Google and Amazon have filed patent applications for devices designed to listen for mood shifts and emotions in the human voice. This agony, however, has had a profound effect on Berners-Lee. He is now embarking on a third act—determined to fight back through both his celebrity status and, notably, his skill as a coder. In particular, Berners-Lee has, for some time, been working on a new software, Solid, to reclaim the Web from corporations and return it to its democratic roots. On this winter day, he had come to Washington to attend the annual meeting of the World Wide Web Foundation, which he started in 2009 to protect human rights across the digital landscape. For Berners-Lee, this mission is critical to a fast-approaching future. Sometime this November, he estimates, half the world’s population—close to 4 billion people—will be connected online, sharing everything from résumés to political views to DNA information. As billions more come online, they will feed trillions of additional bits of information into the Web, making it more powerful, more valuable, and potentially more dangerous than ever. The Windows 10 Spring Release includes a placeholder for the era expected to begin on 1 May, 2019. That information is in a registry key that can be removed or edited in the event that a system’s software misbehaves with this additional information. The Japanese Calendar has Japanese Era Names that coincide with the reign of the Emperor. For most of the modern age of computing that has been the Heisei era, however the Emperor is expected to step down on April 30, 2019. Which will bring about the beginning of a new era. Fortunately, this is a rare event; however it means that most software has not been tested to ensure that it will behave with an additional era. The magnitude of this event on computing systems using the Japanese Calendar may be similar to the Y2K event with the Gregorian Calendar. For the Y2K event, there was worldwide recognition of the upcoming change, resulting in governments and software vendors beginning to work on solutions for that problem several years before 1 Jan 2000. Even with that preparation many organizations encountered problems due to the millennial transition. Dramatic as hell, when you think about it. I wonder how Android and iOS are set up for this? Launching v4 was our chance to return to our rightful place among the giants of the internet, and the cavernous office, known by employees as “Murder Church”, had been lovingly rearranged for the day. In the middle of the room, an immense wooden table had been positioned to serve as the “war room.” It was framed by a ring of couches, where others would stand by to assist. Waiters in black tie attire walked the room with trays of sushi, exquisite small bites and chilled champagne. A bar had been erected, serving drinks of all shapes. Folks slipped upstairs to catch a few games of ping pong. At one point, an ebullient engineer had declared the entire rewrite could run on two servers and, our minimalist QA environment being much larger to the contrary, we got remarkably close to launching with two servers as our most accurate estimate. The week before launch, the capacity planning project was shifted to Rich and I. We put on a brave farce of installing JMeter and generated as much performance data as we could against the complex, dense and rapidly shifting sands that comprised the rewrite. It was not the least confident I’ve ever been in my work, I can remember writing a book report on the bus to school about a book I never read in fourth grade, but it is possible we were launching without much sense of whether this was going to work. We had the suspicion it wouldn’t matter much anyway, because we weren’t going to be able to order and install new hardware in our datacenters before the launch. Capacity would suffice because it was all we had. We wanted to let you know that we are shutting down three apps due to low usage: Moves, tbh and Hello. • We launched Hello in 2015 for people using Android in Brazil, the US and Nigeria. It enables people to combine information from Facebook with contact information on their phone. We will be deprecating Hello in a few weeks. • In 2014, we bought the fitness app Moves. It records your daily activity — including walking, cycling and running. We’re deprecating the Moves app and Moves API on July 31. • Facebook acquired tbh in 2017. It’s an anonymous social media app for high school students in the US. Facebook will delete the user data from all three of these apps within 90 days. Who wants an anonymous social media app? Oh yeah, those used to be a thing a few years ago. Then they weren’t. Now they just aren’t. Even though there was relatively little debate about the aspects of Adobe XD that I would be presenting onstage, the actual narrative of those features really had to be developed through iterative, organic evolution. The version of the demo that I first began rehearsing back in late August was very different from the version that ended up onstage in mid-October, and it changed countless times in between. So now imagine how much work must go into the other presentations you see which involve screen demos. The US Commerce Department has temporarily lifted a portion of the ban on ZTE that all-but shut down the company almost three months ago. After paying a $1bn fine, ZTE has been authorized by the United States to continue supporting much of its already deployed equipment and consumer devices. This largely seems designed to keep infrastructure up and running and allow ZTE to deliver security patches to its phones (and other products). The eased restrictions are temporary, only lasting until August 1st. It’s not stated what will happen after that point, but Bloomberg reports that ZTE is expected to be in full compliance with the agreement it made with the US government by then, meaning the ban may be fully lifted. ZTE initially received the ban in April as repercussion for failing to follow through with penalties it received for violating US sanctions to Iran and North Korea. ZTE has largely been dormant since being hit with a trade ban over two months ago, since it’s been unable to procure necessary parts and software needed to operate its business and sell products. The Commerce Department’s order should allow ZTE to at least partially resume operations, though it appears to be narrowly targeted to really only allow for maintenance and the benefit of customers, and not deployment of new products. By and large, the trade ban is still in place. With the quarter having just finished, will be interesting to see which company or companies picked up ZTE’s missed share of the smartphone market when IDC, Counterpoint and the rest report their numbers. That makes sense: Uber has the ability to deliver more people to mass transit stations from suburbs and inconvenient locations, so less-developed mass transit systems get a boost. To more developed ones, Uber is a competitor. Regardless of these differences, Hall and his collaborators found, Uber tends to increase traffic congestion. That could change if most people agreed to give up private cars and use ride-sharing options, but there’s no evidence of that happening in the US, where 76% of commuters drive to work alone, a level that hasn’t budged in the last decade. Self-driving cars could make congestion even worse. On June 27, the World Economic Forum published a report it produced with the Boston Consulting Group predicting that once these vehicles become widely available for shared rides, travel time in the Greater Boston area would improve by about 4%. But congestion in downtown Boston would worsen because the vehicles “will be chosen as substitutes for short public transportation trips,” increasing travel times in the area by 5.5%. That 76% figure is pretty dramatic. This is why you put a passcode on the SIM, Wilkins. Bullwinkle: This time, for sure!